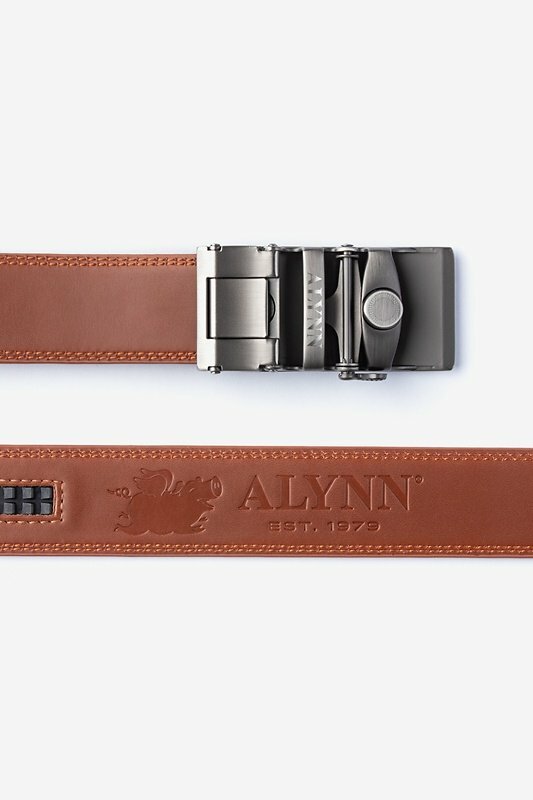 Say good-bye to your stacks of belts because our customizable micro-fit ratchet belt is all you'll need in your closet. 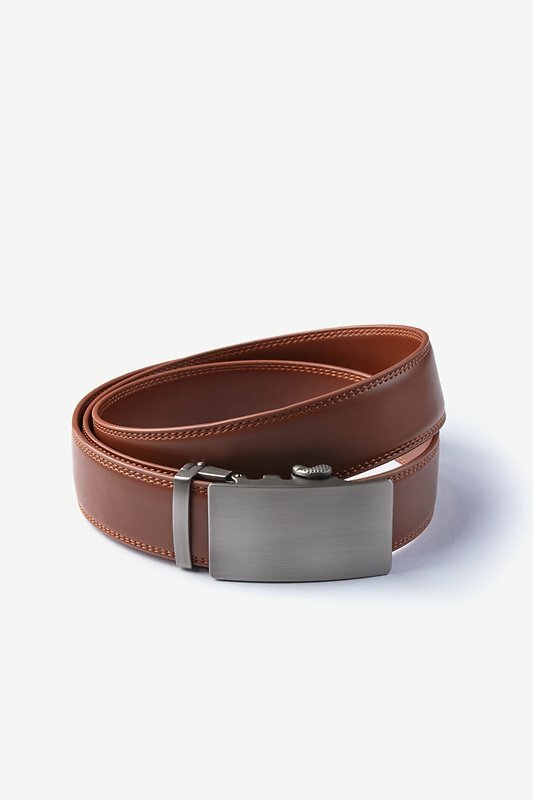 But what does this fancy vernacular mean exac... read more Say good-bye to your stacks of belts because our customizable micro-fit ratchet belt is all you'll need in your closet. But what does this fancy vernacular mean exactly? 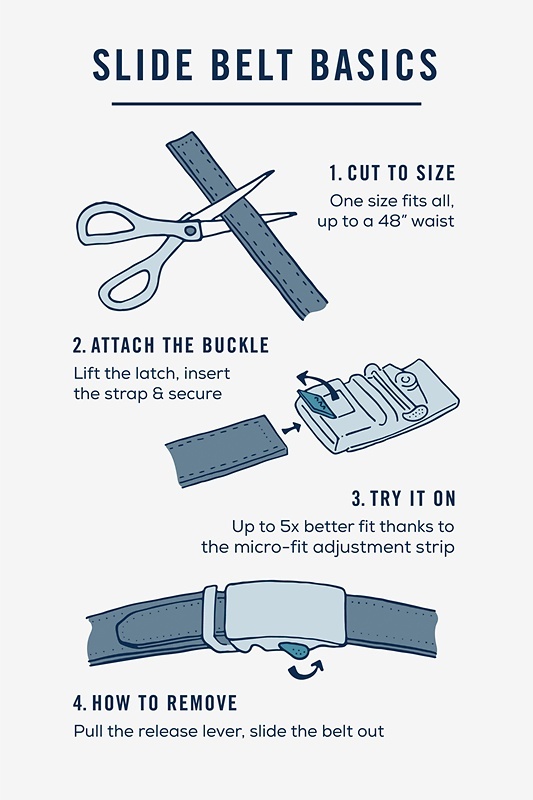 One size fits most since you can adjust the belt to your exact size for 5x the comfort than any other belt. 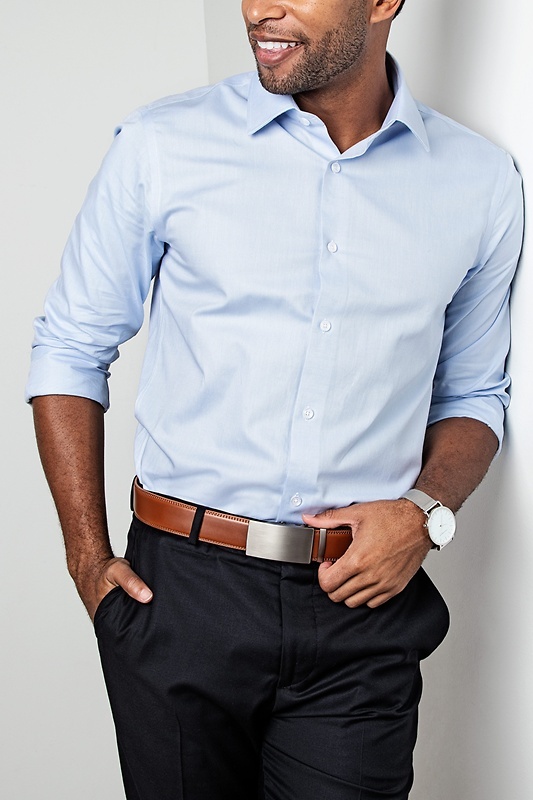 The rounded edges and leather make are sure to elevate your outfit from a pretty good ensemble to an ultra sophisticated, professional one.